Not that long ago I was in the emergency room being told by the doctor that I needed to stop working or my health would continue to suffer. I realized that there had to be another way to do business. 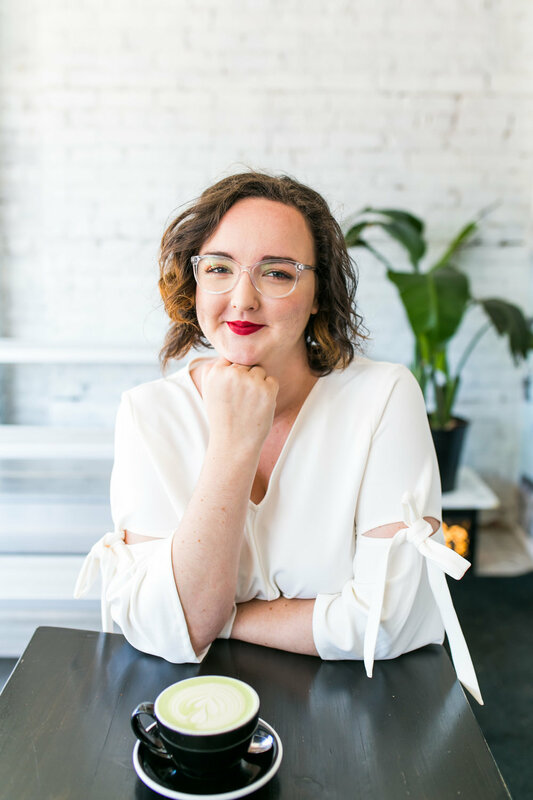 I took myself through a process of intentionally slowing down, reconnecting with mySELF, discovering my vision for my ideal life and built my business to support that. By turning down the volume on everyone else's "should"'s and "must do"'s, I was able to realize what MY business needed to look like so it was supporting me (and not the other way around!). Now, it is my joy and honor to help others through that same exact process through the Streamlined Operations Society. It lights me up to walk you through the process of redefining what YOUR ideal life / business looks like, and how to build that in a way that works for you (without any one-size-fits-all strategies). Each month I'll release a new training that is exclusive to the Streamlined Operations Society. The topics will range from business operations to life design and so much more! Once a month there will be a live group coaching call where you can ask me anything about business, life, alignment, or whatever you can think of! Plus, there will be the ability to hop in the hot seat and get live, one-on-one coaching with me. This is a program that I've put together that will walk you through the process of streamlining YOUR business operations through 4 modules of content! You'll get immediate access to all of the content, and can start diving through it right away. You'll get access to our private Facebook community. This is where you'll be able to connect with the other members, ask questions, and get support as you continue to move into your aligned business. As I release courses / workshops / events you'll get exclusive, members-only pricing. Over the past four years I've been behind the scenes in 6- and 7-figure businesses, and have clients who I walk through this exact process. But I knew that SO many people could benefit from the Streamlined Operations Framework! I created the Streamlined Operations Society because I firmly believe that everyone can have a fully aligned, stress-free, and highly profitable business with the right guidance and support. The first thing you'll do is go through my Business Operations Audit -- this will provide you with YOUR Aligned Business Roadmap. From there, you'll go into the Accelerator. During the first four weeks, we'll go through the Streamlined Operations Accelerator LIVE. The content will be recorded live each week, and we'll go through it together! This is an incredibly powerful experience, and being a part of the live round will be a game-changer for you. You'll get immediate access to the private Facebook community, as well as the Teachable site that has access to all the other courses / workshops / resources I've shared in the past. Use all the trainings. Make this membership work for you. *You'll also be able to request new trainings, courses, resources, etc. in the private Facebook community. That way I'll be creating what YOU need, when you need it. I'm super busy right now. What if I can't get through all of the materials right away? First of all, I want to make this super clear: do NOT try to go through every single thing at once! Prioritize your Business Operations Audit and the Streamlined Operations Accelerator. Everything else is meant to support what you need beyond that. I've only been in business for a couple of years, is this right for me? Yes! This membership is meant for online business owners who have been in business for at least one year. I won't teach you anything about starting a business -- instead, we're going to take what you already have created and make it even better. What can I expect from this membership? A safe, supportive space full of other amazing business owners who will support you in your journey to do business YOUR way. Resources, trainings, and coaching that will help you get where you want in a way that feels really good to you. Workshops, trainings, strategies, progress, and movement towards your ideal life AND business. Time back for yourself, your family, your friends, your hobbies, your passions. What is your refund policy? Because this is a membership, there are no refunds offered if you join with a monthly payment. If you join the annual membership, you can cancel at any time and get a refund for the unused months. You are able to cancel your membership at any time, with no penalties! Can you guarantee specific results? I truly love and believe in every aspect of this membership. The testimonials shared are from real clients who have shown up and done the work through various offerings and services with me. However, I cannot guarantee any specific results. Your results are dependent on you showing up, doing the work, and being open to operating your business in a different way. Ready to run your business your way? Eliminate anxiety and overwhelm? Have streamlined operations? The Streamlined Operations Society is for you!